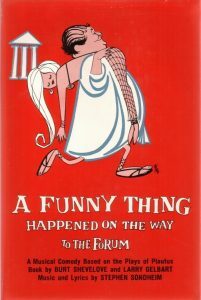 A Funny Thing Happened on the Way to the Forum debuted in 1962, Sondheim’s third Broadway production, but his first opportunity to be both composer and lyricist. 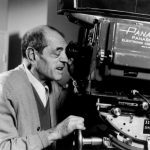 He worked with Burt Shevelove and Larry Gelbart, a pair of television writers with a yen for classical comedy and farce. 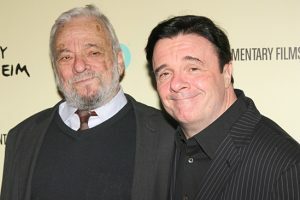 With Sondheim, they spent five years adapting material from comic farces by Plautus, a Roman playwright from the Third Century B.C., into a script full of puns, malapropisms, tongue twisters, double-entendres, insults, disguises, slapstick, mistaken identities, and crazed narrative twists and turns. 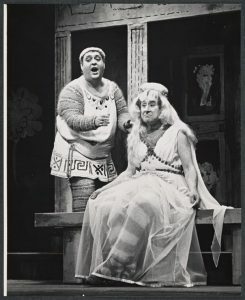 The laugh-out-loud show won six Tony Awards, and Forum ran for 964 performances (May 1962-August 1964), longer than any other original Broadway production by Sondheim. 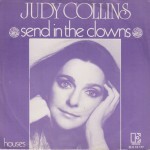 But he wasn’t yet respected by critics or Tony Award voters: Neither his score nor his lyrics were nominated, and the musical numbers were perceived more as embroidery on themes than songs that advanced the story. 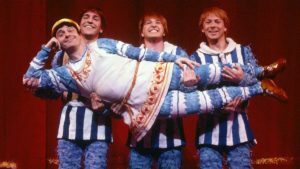 The show’s legendary opening number, “Comedy Tonight,” was a last-minute fix recommended by Jerome Robbins, just before Forum opened on Broadway. He saw that audiences needed to be told what to expect. 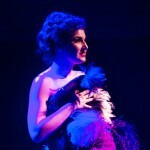 The jaunty, rambunctious number did precisely that, lighting the show’s fuse with a hilarious and tuneful spark. 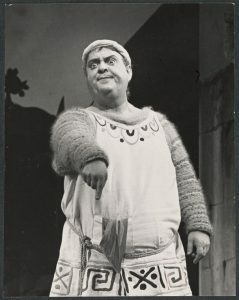 Prologus, an actor who subsequently plays the wily slave Pseudolus, greets the audience. 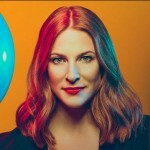 Accompanied by a trio of “Proteans” (three actors who play numerous small roles), he explains that the show will be a farce with a happy ending (“Comedy Tonight”). Three adjacent homes on a street in ancient Rome are Forum’s scene from start to finish. One belongs to Erronius, a befuddled, elderly man who has spent decades searching for his children, stolen years earlier by pirates. The second is a brothel operated by opportunistic Marcus Lycus, a purveyor of courtesans, including virginal Philia, who has been promised to a vain soldier, Miles (pronounced ME-lays) Gloriosus. The third belongs to Senex, a lecherous Roman senator ruled by his overbearing wife Domina. Their handsome if dull son Hero has fallen in love with Philia, who he’s seen in a brothel window. A nervous chief slave, Hysterium, serves Senex; Pseudolus, Hero’s slave, yearns to be free. When Senex and Domina leave for a trip to visit her mother, he orders Hysterium to prevent Hero from romantic entanglements. Of course, Hero has other thoughts (“Love, I Hear”). The conniving Pseudolus plays on Hero’s desires and offers to help him get to Philia in exchange for his freedom (“Free”). Marcus Lycus showcases his courtesans to Pseudolus who suggests he has sufficient funds to acquire one: They appear as Lycus describes their charms (“The House of Marcus Lycus”). After rejecting Tintinabula, Panacea, the Geminae and Vibrata, Pseudolus is captivated by the athletic Gymnasia. When Pseudolus learns that Philia has been sold to the vain captain, he convinces Lycus that she has plague and must be quarantined at the home of Senex—allowing the sweet but dimwitted young lovers to meet (“Lovely”). Pseudolus prevents Hysterium from separating them and then proposes a possible elopement (“Pretty Little Picture”). sleeping potion and proclaim that she has died. When he leaves to find a key ingredient (“mare’s sweat”), Senex returns unexpectedly and is mistaken by Philia as her betrothed soldier. When Pseudolus gets back, he tells Senex that she is a new servant (“Everybody Ought to Have a Maid”). Senex plans to meet Philia at Erronius’s vacant home, but Pseudolus sprinkles the mare’s sweat on him and persuades him to bathe. Hysterium is beside himself with anxiety (“I’m Calm”). Erronius comes home, still childless, only to be convinced that his house is haunted. A soothsayer—Pseudolus in disguise—tells the old man he must walk seven times around the seven hills of Rome to exorcise the ghosts. Senex and Hero cross paths, and each realizes that Philia’s beauty has captivated the other (“Impossible”). The second act begins with Pseudolus narrowly escaping execution by promising to find the missing bride. Senex’s tryst with Philia is foiled by Domina’s return. She’s intent on finding out what her husband has been up to (“That Dirty Old Man”). Gloriosus mistakes Domina for one of Lycus’s courtesans. Philia hopes to console Hero by suggesting that she’ll envision him while the soldier has his way with her (“That’ll Show Him”). 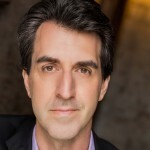 Rick Pender previously edited The Sondheim Review and Everything Sondheim. He is presently assembling The Stephen Sondheim Encyclopedia for the publisher Rowman & Littlefield. This comprehensive, one-volume resource is scheduled for publication in late 2019.